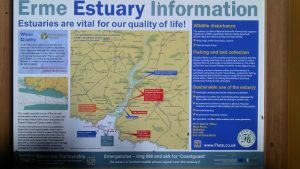 The Erme Estuary is owned and managed by the Flete Estate, for all to enjoy. It is a Site of Specific Scientific Interest and enjoys protected status. The beach is accessible at all states of the tide, there is a Cliff top path through the woods to Malthouse point and down to Kings beach, this is part of the Southwest coast path, sociable dogs are welcome on the beach, together with responsible owners.